By 2021, 9 out of 10 Internet users will be consuming content in regional languages. Is your brand equipped for this change? In a country of a billion people and a million languages and dialects, no one language has the capacity to bring us all together. The British tried it with English, but till date, the number of fluent English speakers in India reflects only a small percentage of our populous. Given our size and diversity, brands, too, need to find a way to get our attention. Whether you’re an Indian brand or an international one, planting your roots in Indian soil won’t work if your digital-first marketing strategy uses only English. You need to speak the language of the locals. Cheaper smartphones and drastically reduced data plan rates have given rise to a skyrocketing number of Indian internet users going online, particularly from Tier I and Tier II cities. By 2021, 9 out of 10 Internet users will be consuming content in regional languages. If your brand isn’t equipped for this change, you will lose a sizable audience of non-English speakers and vernacular content users. That’s where multilingual marketing comes in – a new and effective strategy to engage with India’s next billion internet users. If you’re new to the multilingual marketing hype or would like to know more about it, then here’s all the information you need! Understanding your target audience and customising your communication to a language they consume is the key to success. 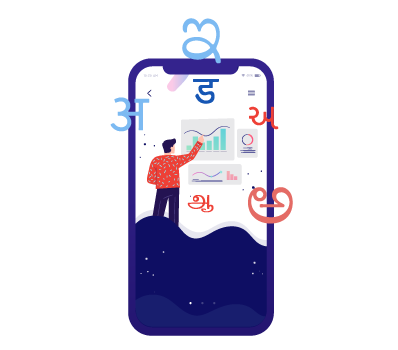 Learn the importance of marketing in Indian languages to take your brand to the next billion users. Let’s start with the basics. Simply put, multilingual marketing is a digital marketing strategy that is adapted to account for multiple other languages in various parts of the world. 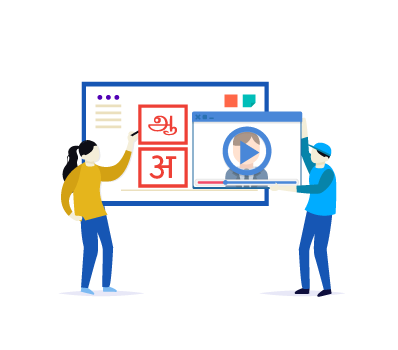 In fact, if you’re a company in India, then multilingual marketing will be the difference between reaching a limited audience base versus reaching your intended target audience. After all, statistics show that Indian language Internet users will be more than 2.5 times that of English users by 2021. Multilingual or multicultural marketing will help you take into account cultural values and nuances of vernacular languages. This strategy can give your brand the benefit of building trust with potential customers who may not know your brand or consider it to be ‘foreign’. Your multilingual marketing strategy will not and cannot work in isolation from your overall digital marketing strategy, rather it will become a part of it. Under that umbrella, all your content will be seamlessly combined to deliver a cohesive message that will resonate with your audience regardless of the language. Are you just translating your existing content in a regional language or are you ideating and localising the content? Localising your content – It’s tempting to use Google Translate or a translation agency to switch between languages. However, as we’ve mentioned before, mere translation is not enough. You need to localise your content, website and all brand to reflect cultural nuances, as everything that works in one language won’t have the same effect in another. Additionally, a single language will have multiple dialects depending on the region in which it is spoken. A comprehensive multilingual marketing strategy will have to be effective enough to cater to these subtleties. This will give vernacular audiences the feeling of a native brand experience. 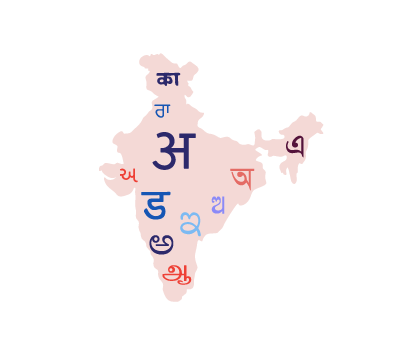 Targeting Indian language users – As of 2017, there were more than 234 millions Indian language users online. With this skyrocketing number of Indian internet users consuming content in their native tongue, brands will constantly face the challenge of engaging with users whose first language is not English. By adopting a multilingual strategy, brands can target and tap into newer audenices, thereby effectively expanding their reach. Your multilingual campaign, therefore, involves more than just incorporating a new language. It will involve a different culture, a different dialect and a different sense of humour. It’s important for brands to look at the premise of their campaign to make sure it is appropriate in the new language. So while your focus should be on creating quality content your target audience will find engaging, you should also keep in mind the vernacular and vocabulary of your target audience. Improving conversion rates – Are you concerned about your low conversion rates? One reason behind it could be your brand marketing to the wrong people. Another could be when potential customers are browsing through your products and services, they don’t fully understand what you’re offering. This will cause your conversion rate to take a steep plummet. When it comes to generating high quality leads, one fool-proof method you need to adopt is creating vernacular ads to drive conversions. Creating national recognition – In a country like India with a myriad of languages and dialects, building a brand image is a definite challenge and just the tip of the iceberg. The real challenge lies in creating a national image – one that caters to all languages spoken across this diverse nation. To cater to a growing audience base in several languages at once, brands will have to shine a spotlight on multilingual marketing, pushing it to the front and centre of the digital marketing efforts. And like we mentioned before, brands will have to push beyond just translating to transcreation, to develop content and communication that will resonate with their regional audiences. Targeting users in all parts of the funnel – The growth of regional content online has multiple brands racking their brains to come up with the most effective strategies to tap into this rapidly growing base of non-English speakers. According to recent statistics, 66% of India’s literate population consumer content in their local language. That’s a sizeable target audience brimming with potential! Brands need to realise that the only way to capitalise on this opportunity is by employing a regional-language approach to target users in all parts of the funnel. This means creating vernacular ads, landing pages, whole websites and even an after-sales support team that speaks their language. This will ensure you improve the quality of leads via digital. For a more in-depth explanation on full-funnel marketing, take a look at this video. With first-mover’s advantage, a wide audience to crack, and much more, multilingual marketing is here to stay. Learn how and why your brand needs to leverage multilingual marketing today! As the digital age continues to grow and evolve, companies all over the world have set their sights on expanding their horizons and finding international footholds to do business. But as we’ve established, bringing your business into a foreign market isn’t as simple as advertising your products and services in another language. However, if you still aren’t convinced you need multilingual marketing as part of your digital strategy, then let’s try to convince you otherwise. Here’s how your brand will benefit from implementing a multilingual marketing strategy. 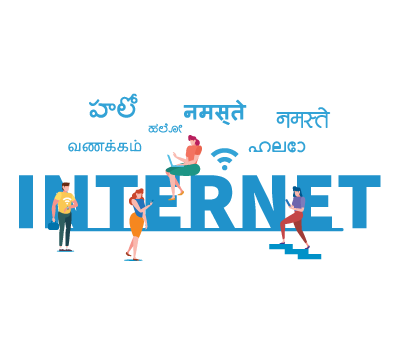 Competitive advantage – According to internet search giant Google, the number of Indian language internet users is expected to hit 536 million over the next three years. That contributes nearly 35 per cent of the $4.4 billion digital ad spends in the country. Considering how imminent this tremendous growth is, brands that are quick to jump on the multilingual marketing bandwagon will be presented with a massive first-movers advantage and can get a large share of the pie before their competitors. Huge target audience/New internet users – As of 2018, India had 400 million internet users and the second highest internet user base in the world. We also have the fastest growing base of internet users in the world, adding nearly eight to ten million new users every month. With new regional language users coming online every month, your target audience will only keep growing from here on out. And several brands, including one of our biggest finance clients, Cholamandalam Finance have witnessed how a multilingual video can rake up 2.3 million views and 80,524 shares, 94% of which were completely organic. People are much more comfortable consuming content in their native language. So, connecting with them in their local language is guaranteed to lead to better engagement. 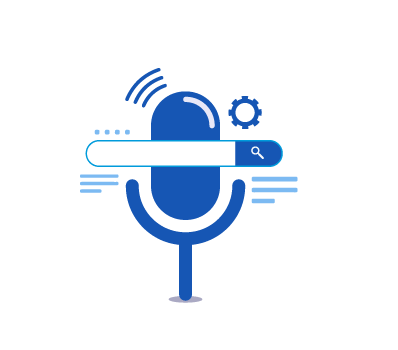 Growing importance of voice search – According to Google’s Year in Search report 2017, India has shown has a 270% growth in voice searches. 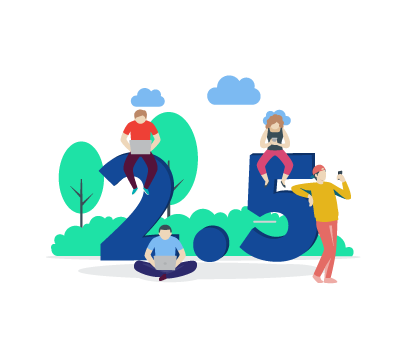 Voice along with video and vernacular languages are among a few guaranteed ways to scale up your business in 2019 through Google. In fact, a recent KPMG survey shows that a staggering 88 per cent of online users said they would click on a multilingual ad rather than one in English. From a brand’s perspective, Voice search marketing is an effortless and easy way to interact and engage with your consumers as compared to typing on a small screen device. 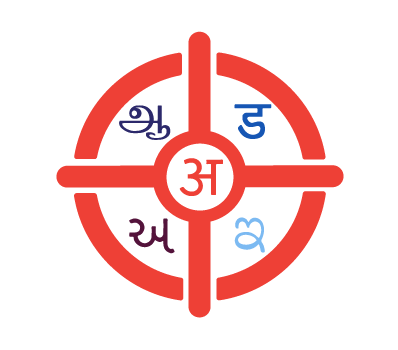 While Indic keyboards are available and act as a guide for new users, Voice is also a natural way to ask a question or query in their preferred language. Improving performance of website– One of the easiest ways to build a strong relationship with regional audiences is website localisation. In essence, website localisation involves rethinking visuals, currencies, units of measurement and of course the language. Localising your website helps your brand reach a larger audience, increase brand awareness and can lead to higher revenues. When users are able to understand your product or service better due to localisation of content, they are more likely to enquire or convert. 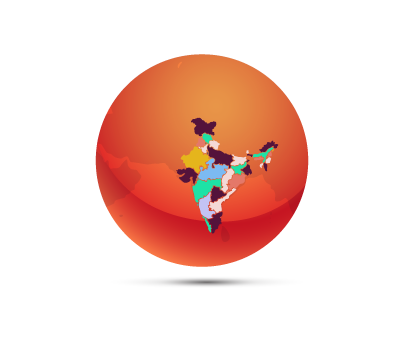 Search engine boost – Multilingual searches in India are a prime example of high demand and low supply. While the number of regional language queries have been increasing exponentially, the number of quality websites equipped to cater to these searches are few and far between. Since there is still relatively low competition for regional language keywords, brands can take advantage of this by optimising their content for these searches. When done the right way, this will help boost organic rankings and improve SERP ranking locally. By doing so, not only will you immediately meet the needs of your new audience, but you will also find favour with Google through user-centric content. For more information, you can check out the basics of Search Engine Optimisation here! 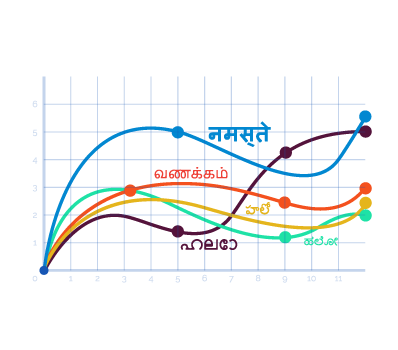 Tamil is among the fastest growing Indian languages along with Telugu, Marathi and Bengali. According to Google, these languages will account for about 30 percent of non-English Internet users by 2020. 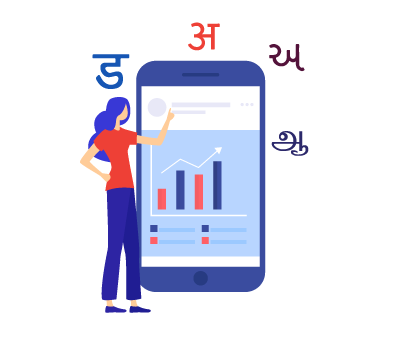 Whether you’re running ads in vernacular languages or converting whole websites, a multilingual marketing approach will give you edge over your competition by helping your rank higher. Yes, multilingual content works but how and where do you use it in your digital journey? Read on to know more. The secret to building an effective multilingual marketing strategy is to ensure that every step of your consumer’s journey is in a language they are comfortable with. 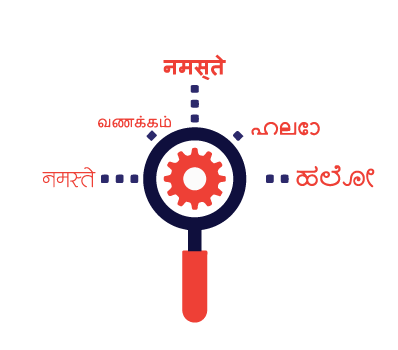 Creating Tamil display ads, for example, that lead a user to an English language landing page will lead to dissonance, which can make them less likely to convert. Right from your ad copies, to your landing page and even your final sales calls, every point of contact that your consumers have with your brand or campaign needs to be in the same language. This is why we developed 22 Languages, a platform that offers end-to-end multilingual marketing solutions. We understand that what works in one market won’t have the same effect in another. That’s why when we work with brands, we help them zero in on a significant and relevant target audience, identify their biggest market, understand their needs of their clients and speak to them in their own language at every stage. Our vast network of content strategists and creators who specialise in several vernacular languages will help craft effective end-to-end multilingual marketing strategies that are unique to your brand. Here’s how we do it. Understand – Every target audience is different and has different needs and requirements. The same applies to target audiences in different languages. Even in the initial stages, we work closely with your brand to understand your message and what you want to say to your intended audience. We also try to understand what makes your audience tick and how they will perceive your brand in their vernacular. Ideate – In this stage, we put our multilingual thinking caps on and formulate original and customised campaign ideas in the local language of your audience. Remember, no two languages are alike and what sounds good in Tamil, won’t sound good in Hindi or make sense to people in Marathi. Depending on the language you have chosen, our team of multilingual strategists jot down several ideas that are unique and customised to your brand, products and potential consumers. Create – Now on to execution! 22 Languages will create an effective multilingual strategy to intensify your digital marketing efforts. Every brand has their own voice and style. We don’t want you to lose to another language. That’s why, no matter what your strategy – be it ads, videos, landing pages or websites, we work to ensure your strategy reflects the local flavour of the region and your brand’s personality. This boosts the chances of your content ranking organically and going viral. Amplify – We aren’t done yet! Once we’ve begun executing your multilingual marketing campaign, we take things a step further – we amplify your content and make sure it reaches the right audience. Here’s a quick list of content amplification strategies for you to take a look at. There’s no point executing a highly effective strategy if it is catering to the wrong people. With targeted advertising, you can target people based on demographic, previous buying history, or in this case language. This will ensure your strategy gets the most bang for its buck and it starts raining leads for your brand! Here’s a quick example! Ashok Leyland, one of India’s leading truck manufacturers wanted to express their gratitude towards truck drivers for their relentless efforts. To create an emotional connection with their audience, Ashok Leyland wanted to create an engaging video to shed light on the fact that our Diwali celebrations every year were possible thanks to the tireless endeavours of our truck drivers. We recommended a vox-pop video in Hindi – this would ensure that the content was interactive and engaging as well as in language familiar to most truck drivers and their kin. The video titled “Diwali Ke Asli Hero Kaun Hai?” was conversational in style – multiple people were questioned on who they thought worked tirelessly though Diwali, while the rest of the country was immersed in festivities. Common responses included soldiers, doctors and milk vendors.Very few of the respondents were able to guess the role of Indian truck drivers, continually delivering raw materials from various production hubs. Using the hashtag #YehDiwaliBadiNirali, we promoted the video on all of Ashok Leyland’s social handles. The video one of the most trending vernacular vox-pop videos of 2018, garnering some whopping results - over 2.5 lakh views across platforms with 3.1K comments and 400+ shares! This multilingual video campaign also helped Ashok Leyland up their goodwill and social responsibility among stakeholders and the general public. These overall results are more than enough proof that multilingual marketing along with creating compelling videos can not only expand your reach but also help in telling your brand story effectively. In the end, it’s all about having high-quality content, that is localised and is seen by as many members of your targeted audience as possible. We have worked with several notable brands across verticals and helped them achieve immense growth in both reach and revenue. Among our most notable work was for a real estate client, Shriram Properties. Our vernacular campaign for them included running multilingual ads and a Bengali landing page for their new project. Shriram Properties is one of India’s leading real estate developers with projects across Chennai, Bangalore, Coimbatore and Kolkata. Shriram Properties approached us with a unique challenge – they required us to sell a huge number of units from their latest project Shriram Grand City, an affordable housing property located in Uttarpara, West Bengal. Due to the nature of their target audience profile and the location of the project, an English-only approach would not have been effective. We chose to utilise a multilingual strategy to help our client meet their objectives. Since the project was located in Uttarpara, we used Bengali in all of our marketing initiatives for it. In conjunction with a number of innovative Google Display advertising techniques, we also created a landing page in Bengali and ran multilingual ads. Our overall strategy included using Custom Affinity 2.0 to develop audience profiles similar to those who visited competitor thank you page URLs, Accelerated Mobile Pages as well as Google Optimise to enhance the websites UI/UX. Here’s an in-depth take on how we achieved these tremendous results. Headquartered in Chennai, Cholamandalam Finance is one of India’s largest finance and investment services provider. Their target audience mostly consists of entrepreneurs and small business owners in Tier II and Tier III cities. 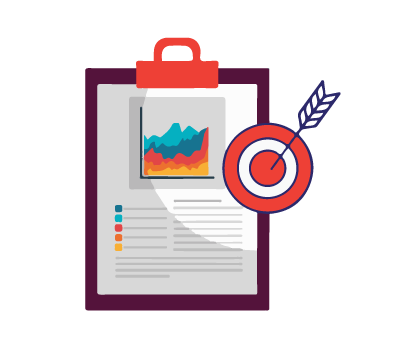 The objective was simple – raise brand awareness, engage with current customers and reach newer audiences. They were open to creating an interactive video to help achieve their goal. The video we created was created specifically with Cholamandalam’s audience in mind. The video was an animated one that featured life lessons one can learn from an ant. When the English version garnered a reach of 409,609 with 3k shares, we decided to convert the video to Hindi to take advantage of the reach vernacular content has. 2.2 million views, 94% of which are organic. 79k shares and 50k reactions. Here’s a look at our viral video. These numbers further reinforce the fact that as part of the digital landscape, we need to adapt ourselves to cater to the needs of India’s next billion internet users. And a multilingual marketing strategy is the way forward. A multilingual strategy is not just a gateway to a global audience, or in this case, a pan-Indian one, it also gives you a tremendous opportunity to increase brand awareness. Given the accelerated pace at which non-English speakers are growing online, your business plan and marketing strategy need a little something to help you develop a real competitive advantage. It’s only a matter of time before multilingual marketing becomes the norm. So by investing your resources early on, you can reap the benefits of a culturally and linguistically diverse marketplace. Hello,Thanks for sharing.Very very informative article and clearly understandable.